A line of hanging vinyl label holders, pockets, and tag protectors that feature high-strength magnets to hang tough for a wide range of inventory management applications are available from Vinylenvelope.com of Dighton, Massachusetts. Vinylenvelope.com Magna-Hinge™ Hanging Vinyl Tag Protectors are made from heavy-duty 10-gaurge clear PVC and feature a reinforced strap which wraps around objects and has two encapsulated rare earth magnets that join firmly together to stay in place. 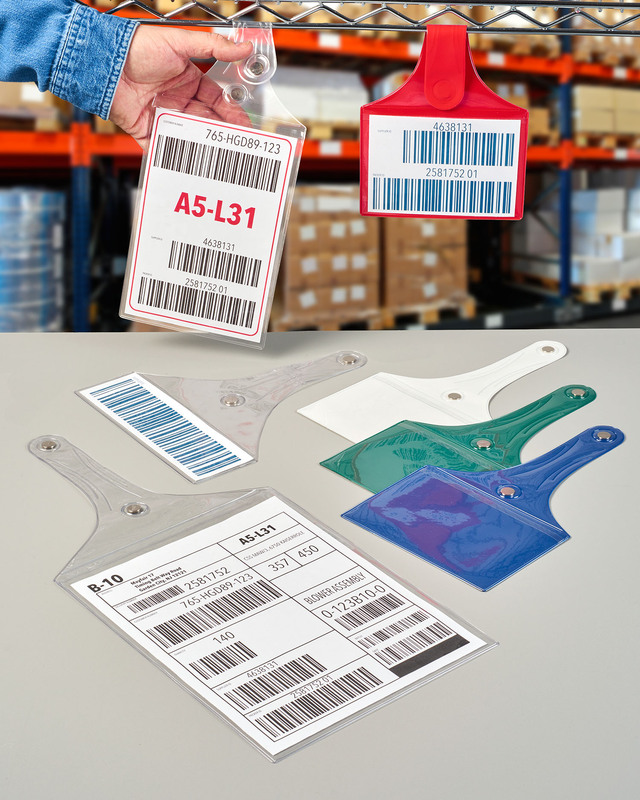 Ideal for a wide range of assembly, inventory, and materials management applications, these clear vinyl pockets permit barcode scanning and the backs are clear or offered in colors for coding. Available off-the-shelf in standard sizes from 3” x 5” to 9” x 12”, Vinylenvelope.com Magna-Hinge™ Hanging Vinyl Tag Protectors, pockets, sleeves, and pouches are ideally suited for commercial and industrial uses. Typical applications include inventory marking, tagging parts for repair, and identifying machinery and parts such as valves, controls, and switches. Vinylenvelope.com Magna-Hinge™ Hanging Vinyl Tag Protectors are offered online. Custom sizes, configurations imprinting are also available.